To Start, HD-TVI stands for High Definition Transport Video Interface. One of the main company names you’ll hear when you talk about HD-TVI is Hikvision. This DSP-TVI Technology was developed by Techpoint and the chipsets were sold to Chinese manufacturer Intersil who provides companies like Hikvision and HanBang this technology so it’s installed in their products. HD-SDI was one of the first technologies that came out in the CCTV industry in order to bypass the limitations of Analog video systems. HanBang ended up developing TVI as a solution which can now convert digital signals into analog ones, thus giving consumers the ability to purchase surveillance systems which record at megapixel resolutions even though you’re using analog technology. This also means that the distance of cable you can run are much longer and you’ll end up paying way less for that high of resolution versus the high costs of network IP technology. Even the storage space needed is greatly reduced! Running HD-TVI on coaxial cable will support HD video signals like 1080p and 720p resolutions, audio signals, and digital signal transmission. 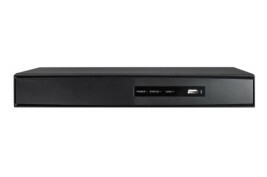 The TRIDVR-PRE8ME is our HD-TVI 8Ch Recorder with the ability to do up to 8 Cameras in 3 different technologies, HD-TVI, Analog, and Network IP. Ability to trasmit video signal, audio, two-way communication, 3 transmission signals over only one coax cable. 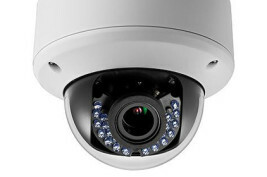 You can use the same structure as analog CCTV systems which allows you to switch out cameras and a recorder but keep your current wire structure. 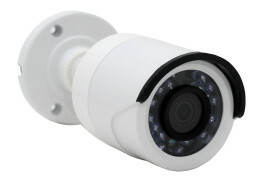 This makes it way easier to upgrade the technology of CCTV you are currently using without having to run all new cables. HD-CVI has to do with its quadrature amplitude modulation technology, which is able to avoid CVBS cross talk, completely separate brightness and hue signal which further enhances video quality. HD-TVI is a DSP-TVI technology which is now open access allowing other manufacturers to utilize and further develop the technology. HD-TVI can be implemented in existing simulation on a transmission line with reliable HD video signal transmission. Cat5 Video transmission for HD-TVI allows for up to 700FT of cable before losing signal while HD-CVI only allows for up to 329FT. TVI is capable of doing 720p and 1080p video signal simultaneously while HD-CVI only allows for one or the other at a time. 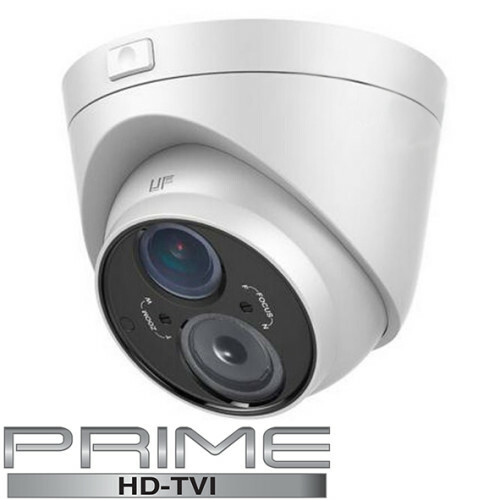 The TVIOD-PR2IRV is a TVI varifocal vandal dome with a 2.8-12mm lens and 150ft of infrared for recording in complete darkness. 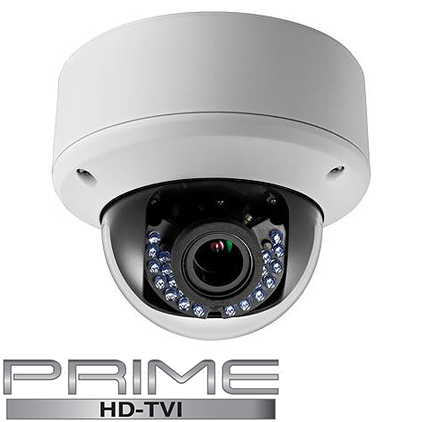 The current competing standards of HD surveillance video recording are HD-SDI, HD-CVI, Network IP, and HD-TVI. IF you think back to when VHS and Cassette tapes were battling it out with Beta-Max and DVD/HD-DVDs, you will see a similar competition versus HD-CCTV technologies. At the moment SDI is losing big time because of the cost associated with that technology. Purchasing systems which are utilizing HD-TVI or HD-CVI are going to be closer to the cost of Analog than Network IP or even HD-SDI. However, Network IP can currently record at higher resolutions than CVI or TVI are capable of but at the moment Network IP is a bit more costly. Techpro Security Products has stopped purchasing and stocking the HD-SDI technology because we would rather be able to provide you with technologies that provide the same quality but for a cheaper price. Having these less expensive alternatives will allow us to help more people be able to afford a surveillance system with resolution and quality clear enough to identify the incident instead of just having a recorded time and date of when it happened. In the past we’ve had customers who purchased old analog systems from other manufacturers and once they were robbed and unable to see who did it, they realized the benefit of megapixel systems and decided to upgrade with us. There’s nothing worse than seeing something happened but not having the proof you need to prosecute someone that did you wrong. 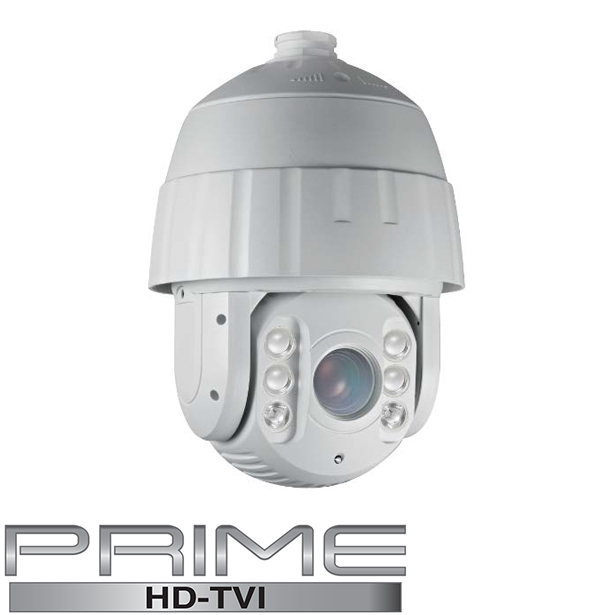 Our TVIOB-PR2IRV is a 2MP TVI Bullet camera with the ability to see up to 150ft in complete darkness and also has a 2.8-12mm lens for manual zoom and focusing. Originally, Everyone thought that HD-SDI was great because if you purchased an analog system and wanted to upgrade, you wouldn’t have to run all new wires again. Unfortunately, this wasn’t entirely true because the HD-SDI technology was really finicky about working only with cable in pristine conditions. If you had small kinks or slices in your cable, you’d have to end up running a new line anyway because HD-SDI wouldn’t transmit the digital signal properly. In the end, you could have just purchased a network IP system for around the same price and removed all your analog cable to replace for a single cat5 or cat6 cable per camera. For analog systems, it generally required that you run video plus power cable for each camera. Most people use siamese cable which has both cables in one line but it still took up way more space than a single Ethernet cable run. Although HD-CVI technology uses the same cable as analog and TVI systems, the technology is not interchangeable. You cannot use analog or HD-CVI cameras with TVI recorders. However, there are some recorders that can record multiple technologies. 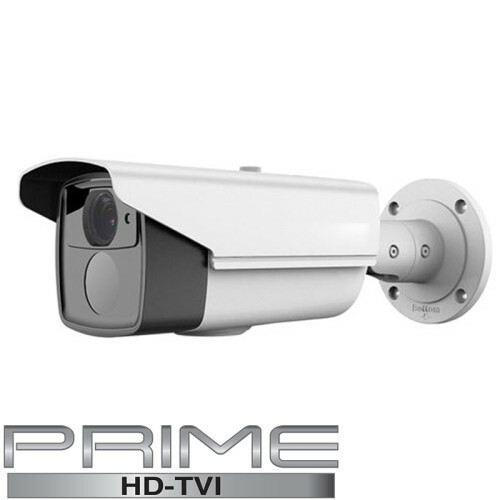 We currently carry tribrid DVR’s which are recorders that are capable of recording HD-CVI, Analog, and Network IP cameras all in one recorder. 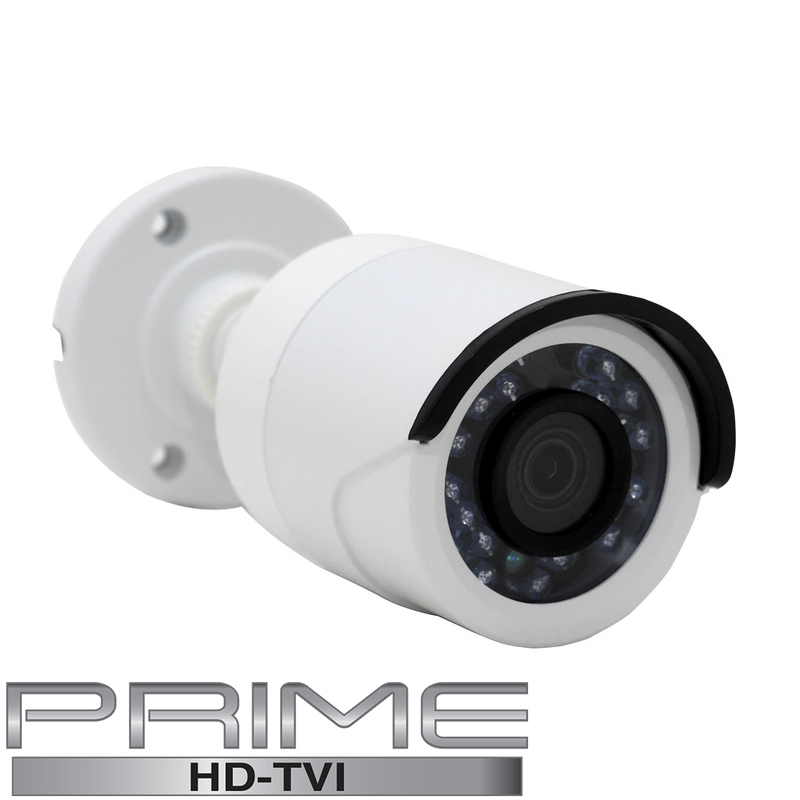 TVIOB-PR2IR36 is our 2mp 1080p IR Bullet w/ 3.6mm lens and 60ft IR for night time viewing. At the moment only one company is manufacturing HD-CVI DVRs while there are literally hundreds of companies that are able to create products using the TVI technology. We are going actually going to be releasing some TVI products beginning of either this week or next under the “PRIME” categories of our website. At the moment you can really only purchase products with the CVI technology from one specific company. Sure, there are some distributors out there that carry those as well, but if the main company that supplies these products go out of business or decide to charge more for CVI than it’s worth, you’ll be stuck having to replace your entire setup which can get very costly quick. Since both TVI and CVI are still generally new technologies, I’m sure you will see new features and improvements but the most important thing is to have the ability to use a product with other manufacturers as well. Since the posting of this article, Techpoint claims to have over 100 different manufacturers working with and using their technology. 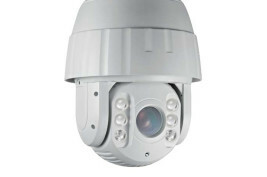 TVIVD-PR2IRV is oour 2Mp 1080p IR Varifocal Vandal Dome with 120ft of IR for night time viewing. At Techpro, we know that CVI, TVI and SDI technologies are going to reign supreme over Analog. It will be great to see these advancements in technology take over to the point where we no longer have a need for analog cameras. We currently offer CVI products that are so close in price to analog that it doesn’t even really make sense to carry them anymore. The only reason we still have some is because there are some legacy customers which still have the need for analog so that they don’t have to upgrade their whole surveillance system in order to just purchase one new camera. We do have some cameras which are CVI that also work with Analog systems but you have to use the jumper or cable grounds (if the camera comes with this feature) but you will only get up to 960H resolution when using it as analog. 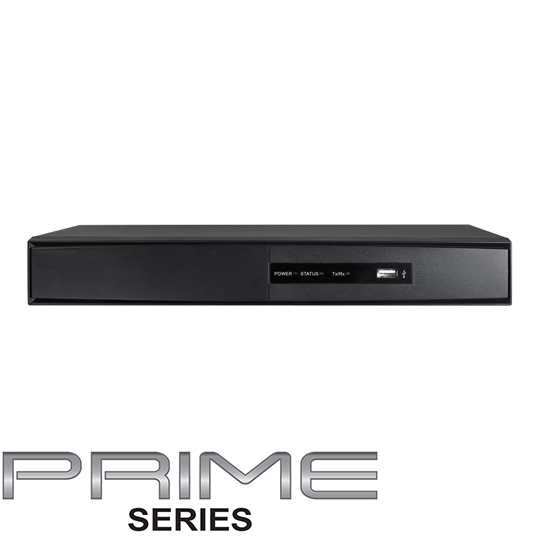 To get the full 1080p or 720p resolutions, you will need to have a CVI or TVI compatible recording unit. TVIPTZ-PR2IRL30X is our 2MP 1080p 30X PTZ with 250ft of IR for viewing in complete darkness. If you’re looking to purchase a brand new system from the ground up and have the extra money to do so, I would recommend going with the Network IP systems. This way you have the latest technology in place and have the ability to upgrade to way higher resolutions. However, if you’re looking to save some money or put a system in your house where you don’t need that high of resolution, definitely go with a product which will allow you to either have multiple technologies together (such as our tribrid recorders) or choose between TVI and CVI so that you can still use your siamese cables when buying higher resolution cameras instead of the old plug and play analog cables which won’t work properly with TVI or CVI. If you have any questions or concerns, please feel free to contact us at any time during normal business hours (9am-8pm EST MON-FRI). You can use the contact form linked above or give us a call Toll Free at 866.573.8878.